From Photocopying to Digital Prints to Full Color Printing, Geelong has a print solution to help you see your project through to completion. GeelongPrinting.com.au: your choice for online printers. Specialists in printing business cards, stationery and promotional products. Individual and unique designs created by qualified graphic designers. Fast turnaround. Low minimum order. Delivered to your door. Environmentally friendly. 100% Australian owned. Cant find a solution that fits? Geelong Printing offers a complete Graphic Design service for your bussiness or personal requirements. Our Designers can work with you to create visual solutions for communication needs. From typographic layout to publication designs, through to content for web, interactive media and multimedia projects, our design team have got you covered. Feel free to contact us to organise a time to meet with one of our designers. Get with the times. Get online and get seen. 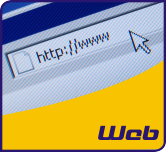 Geelong Printing can also cater for all your website needs. From 1 page brochure sites, to self-editable and e-commerce solutions, Geelong can get you online and get you seen.